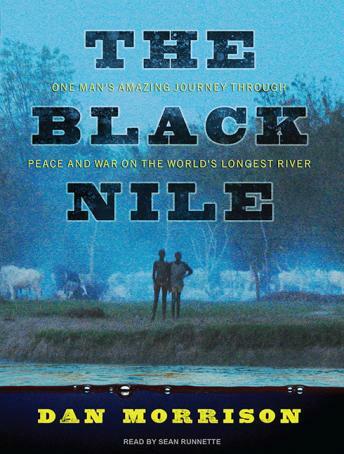 Investigative journalist Dan Morrison hired a boat builder, summoned a childhood buddy, and set out paddling from Jinja, Uganda, down the White Nile toward Cairo. Four thousand miles, two companions, and several other means of local conveyance later, he emerged on the Mediterranean. The story Morrison tells of this spectacular-and spectacularly harrowing-journey is a mash-up of narrative travel writing, investigative reportage, and current history, resulting in a thoughtful, funny, and frightful trip across a region whose people are trying to claw their way from war and poverty to something better. I admit I only listened to the first two CDs. I don't enjoy Mr. Morrison's writing style. I would like to know more about his journey, but I find too much extraneous detail in the text. I'm not offended by profanity, but I am put off by gratuitous use of it. I don't need to know how much he paid to the porters to carry him from shore to the boat and vice versa. The endless, uninteresting details wore me down.